This was excellent! So…… delicious. We just returned from Israel, and this recipe made me feel like I was in Jerusalem. Loved it! Thank you for creating such scrumptious recipes. Made this tonight for dinner. Husband said it tasted better than our (now closed) fav Lebanese restaurant in St. Louis. 13 year old liked it too. Excellent! nothing spectacular .. tasted nothing like shawarma, then again i used sun flower oil .. maybe i should try the olive oil .. something tells me it wont make a diference though. My family did not care for the combination of spices in this recipe, though they do like shawarma. Next time, I will omit the allspice. made it! was skeptical at first, however, it was truly restaurant-wothy!! excellent recipe!! Tori, my husband and I ate at a Lebanese restaurant for the first time last week and immediately fell in love with chicken schawarma. I love to cook so I came home and started my recipe search and was lucky enough to land on yours. Tonight I followed your recipe exactly and I have no words (this never happens) to express my delight. I chose the oven method and OMG! AMAZING !! I served it with Garlic Paste (Toum) which I also made for the first time today , rice, salad and pita. Can’t thank you enough for posting this and working so hard to make such an amazing dish !!! THANK YOU THANK YOU THANK YOU!!! 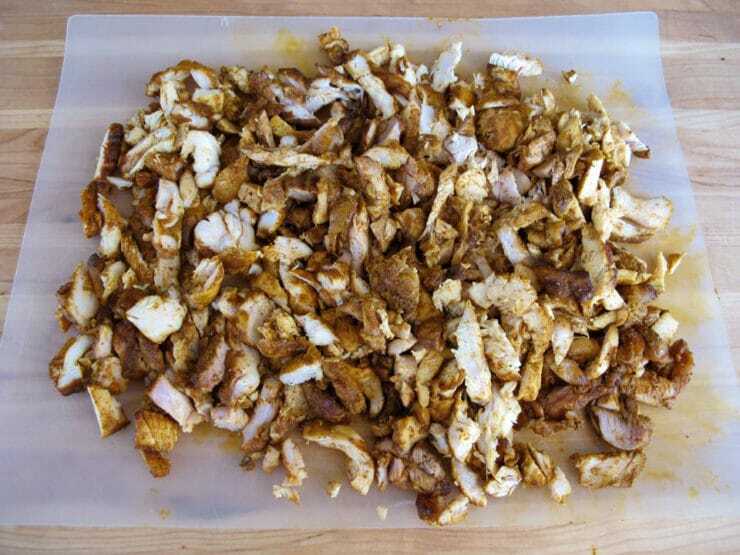 Slow -cooker chicken schwarma? Busy mom…!! hey Tori thanks a lot all the way from Oxford, England, this recipe is so good I’m going to have to have it two days in a row. Been after a good one for ages and this is by far the tastiest. Cheers! I am marinating my chicken now. Any thoughts on adding lemon juice to the marinade? Hi Jeff– you can, but it will taste less like shawarma. Make it as written if you’re going for that shawarma flavor. This recipe is the bomb. Tried schawarma for the first time a little while ago and wondered if I could make it at home…apparently I can thanks to this. I have traveled the Middle East and ate so many different types of Chicken Shawarma’s. I have to say this is FAR BETTER than any Chicken Shawarma I have tasted! It was VERY simple to make. I made a Garlic sauce with Melted butter (cooled) with one garlic clove minced and added some Sour Cream. Tasty, tasty, tasty! Absolutely the best shawarma I’ve ever made. Way better than our local Lebanese spit ever produced. Thank you so much for sharing this Tori. Just came accross this recipe and site. Marinated overnight and cooked this morning- waiting all day to try it- did not disappoint!! The whole family loved it and wanted to know when I could make more!!! Tried this last night. And it was so goood! Made a proper shawarma roll with toum and pickles. Thank you so much for posting this. I made this, albeit significantly more half-assed than the recipe, and it came out delicious!! I will for sure be making this again 🙂 Thank you!! This is so good and tastes very similar to the shawarma we used to eat at a place too far away from us to eat now, plus they are somewhat pricey. I usually make a garlic hummus (my version) which is a blended mixture of oil, plenty of garlic, garbanzo beans, cumin, lemon and salt. We used to get the garlic sauce at the restaurant but I have not been able to replicate it, so my substitution has worked for us. I sometimes reduce the cinnamon, but other than that, I love this recipe. Thanks! 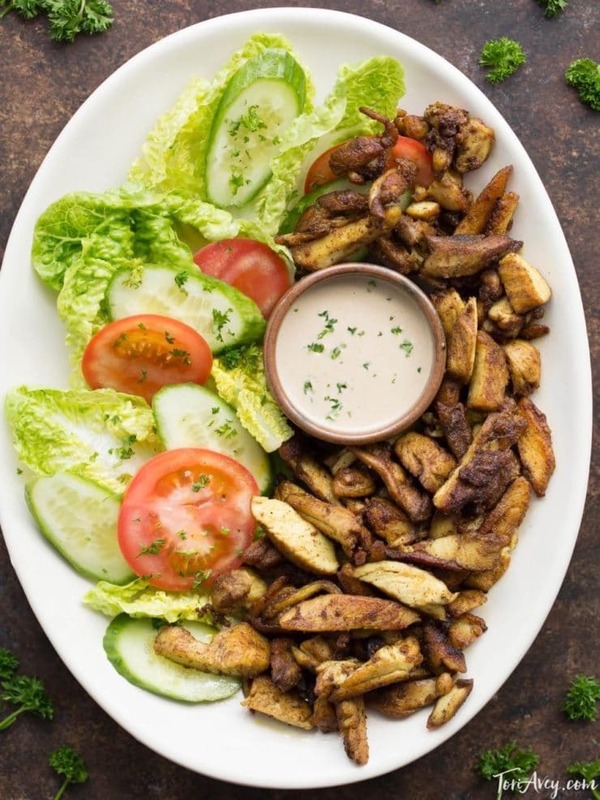 I recently have had my first chicken shawarma experience, as I had never had it before. I love it!!! I was so happy to find you recipe and I plan to make it tomorrow! In this recipe I generally use sweet paprika. Enjoy! I made this recipe and I love it! I did reduce the amount of cinnamon just a bit, I have Saigon Cinnamon, so it is very pungent. The recipe is delicious. 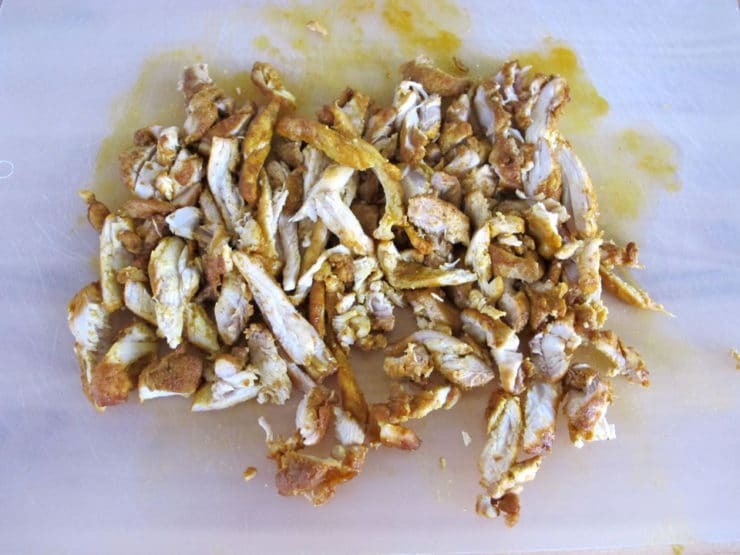 I cut it up into large chunks, marinate it and then grill it in batches and then cut it into smaller pieces and re-fry it in a hot skillet to get it nice and brown. I paired it the first time with the tahini sauce, and it was horrible… maybe it was the brand of tahini sauce I purchased, but it was super bitter, and I tried everything to smooth out the flavor, but I mostly just wasted $8 on a jar of tahini that didn’t want to be improved. LOL Instead, I took soft butter, olive oil, salt and raw garlic to make my own “sauce”. The local restaurant I go to has a “butter” they serve with the bread, and I love it on the Shawarma, so while mine isn’t the typical recipe of vegetable oil, egg, garlic, I liked mine better. Thank you so much for sharing this recipe! Your website is my go-to recipe finder now. Thank you so much and please keep posting more. You are so talented!!! I have been trying several of your recipes and they all turned out fantastic. The chicken shawarma is out of this world and I had to write something. I followed the recipe exactly and when I took the first bite, it was like being back in Israel. Many thanks for the recipe. 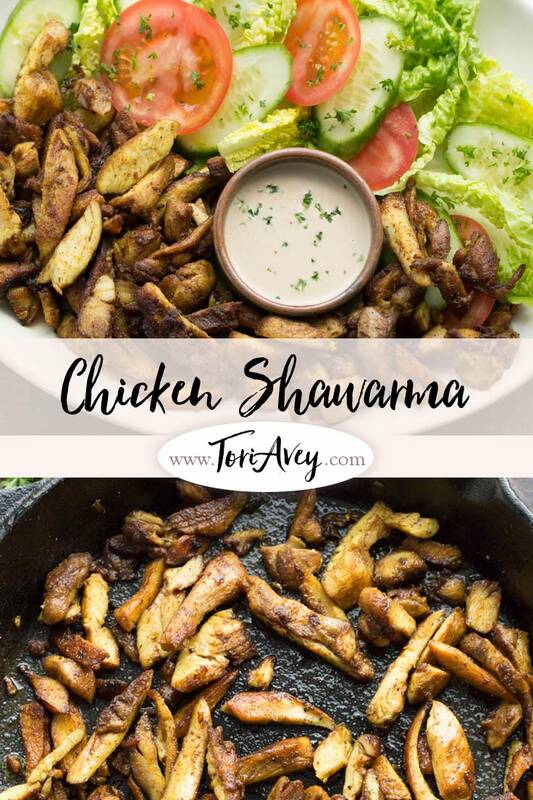 This is THE BEST recipe for Chicken Shawarma I have ever used. 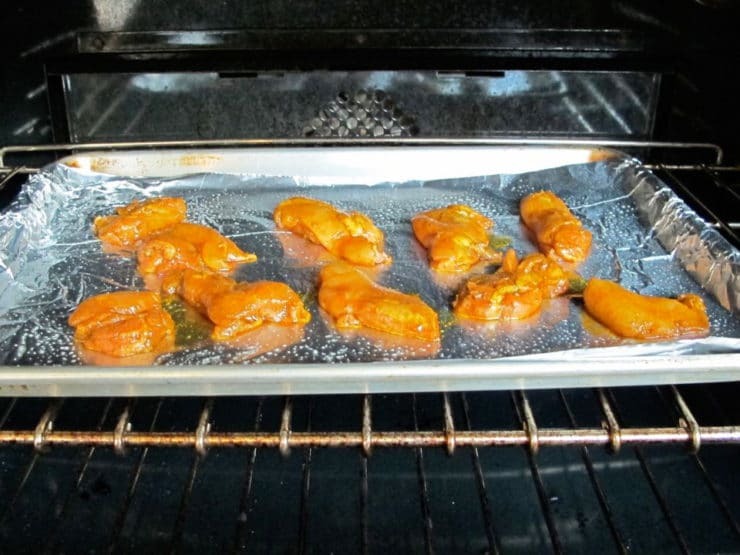 I am lazy so I marinate longer and bake all of my chicken pieces in the oven – even tightly packed when I am doing a large serving. 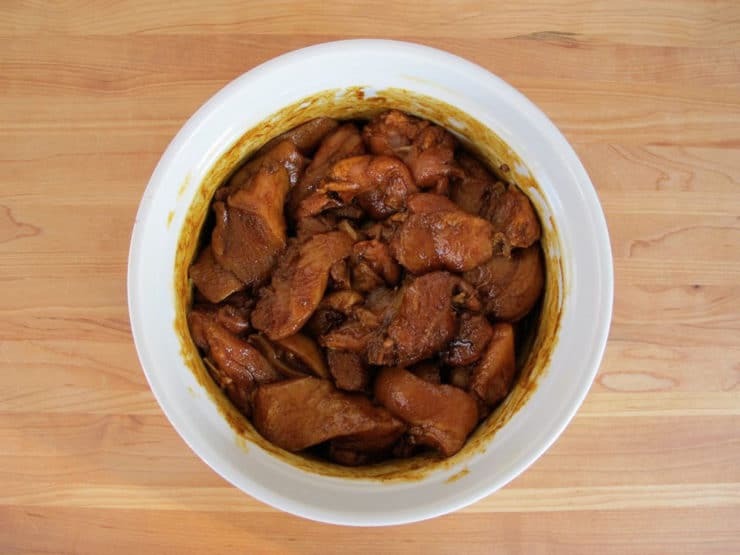 EVERYONE compliments me – even people who swear they hate Mid-Eastern food – on this recipe and, aside from making a few little changes (I cut up onions, marinate and bake with the chicken), I use the spices exactly as prescribed. Wonderful. I add to this the accoutrement of Tabouli salad, Saffron rice, lots of Tzatziki sauce and homemade Hummus with both white and wheat pita breads. Some tomatoes on the side along with a nice mix of Greek olives really makes an all around delicious meal. Great idea Bill. The longer it marinates the tastier it becomes! Hubby has been playing around with our rotisserie. I jumped on Google when he asked me to try a chicken shawarma. You have absolutely nailed it! 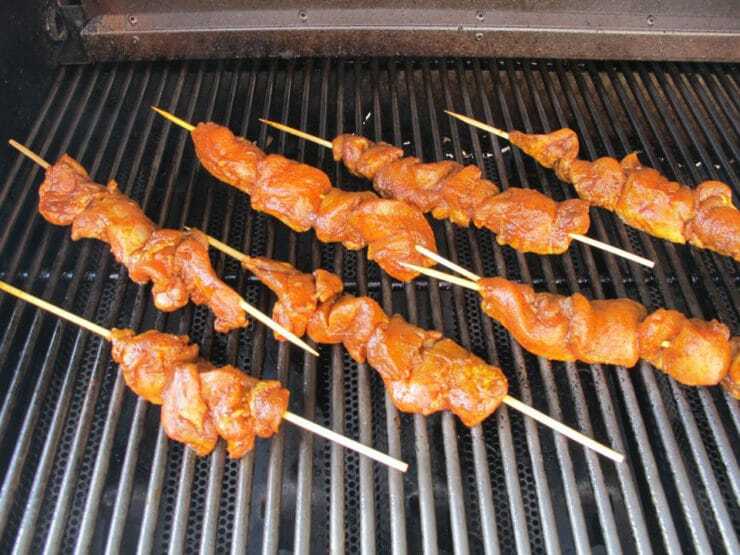 I used your marinade, then alternated chicken breasts with onions, rotating the breasts as I loaded the skewers. I set the timer for 1.5 hours, but shut it off after about and hour. Fantastic! Great to hear that Syeda! Thanks for reporting back. I was skeptical that it could taste anything like schwarma….. boy was I wrong! It was great and not difficult to make. Do you have a recipe for Lamb or turkey schawarma? I added zaatar in the marinade and a bit more salt. Yummm. Adding zaatar is a great idea when I use this recipe for Lamb Shawarma! I pretty much use the same recipe for lamb or turkey, too. Just made this for supper. Absolutely delicious and so worth the effort. Thank you. Wow! Excellent recipe — you’re like a food mechanic, taking things apart and putting back together. Your recipes are on a whole other level. Myself, I don’t really care about cachrout (although, maybe it’s the constraints that are making you think outside of the box? ), so I added Greek yoghurt to the marinade, and also had fresh tarragon in the fridge, and added it. For some reason, the anise flavor of the tarragon takes the shawarma-ness to another level. I just made this tonight for my husband and I. IT”S AMAZING! I know my shawarma and I must say you nailed it, my dear. I put a little hummus down then put the shawarma right on top. mmmm…just annoyed with myself that I only made 1/2 the recipe. This was abso-freaking-lutely delicious. I’ll be using this recipe on a regular basis. Thank you so much!! Thank you so much for this recipe! Every few months or so I like to have a Mediterranean feast with my best friends, and I’ve never even tried to go for the shawarma… I’m so excited to try it! I wanted to make chicken shawarma burgers… do you think your spice mix would work mixed into ground chicken, and then formed into patties? I would appreciate your opinion. Thanks! It should be good Katerina. I’ve done it before with a mix of grass fed beef and chicken, it was tasty. Enjoy! Are the ingredients in table spoon or tea spoon?? OMG! This recipe is FANTASTIC! I used dark meat turkey and marinated the meat overnight. I served it in a pita with homemade hummus and Israeli chopped salad. My teenage son, aka “PickyEater” and his friend ate it ALL. I had enough for six full size pitas. Easy and quick to make, especially if you marinate over night. Can’t wait to make this again and serve it over basmati rice. Another delicious recipe. My family loves it when they see me perusing your blog! My son said he feels like he was transported back to Ben Yehuda street in Jerusalem. Thanks, Tori! That is a very flattering compliment from your son Lori, thank you! My fiance, my friend & I tried this dish & loved it!!!! Mmmm! Hey Tori, I tried your recipe for the chicken. But it came very disastrous. After cooking the chicken in bake method and than frying them, the taste of the chicken was very unpleasant. All i could taste was paparika chili powder and tasteless of chicken pieces. Can you tell me where I went wrong? 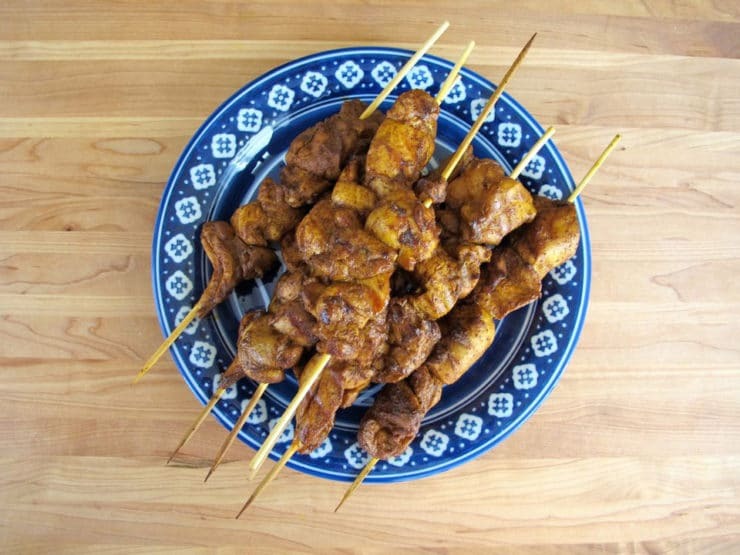 I feel as if your recipe is very similiar to chicken tikka, more towards Pakistani spicky dishes than Middle Eastern dishes. I’m not sure where you went wrong. If you’ll read the reviews you’ll see that pretty much everybody has had a great experience with this recipe. As for tasteless chicken, perhaps you didn’t marinate it long enough? It’s hard to say since I wasn’t in the kitchen with you. I’m thinking perhaps you misread one of the seasonings and/or added too much or too little of something? In any case, I’m sorry it didn’t turn out well for you. I’ve had this bookmarked for months. Finally got around to trying it. The chicken is currently marinating overnight. Can’t wait to try it tomorrow! Your recipes are outstanding. Saying… Thank you! Came across this recipe a couple months ago, and must have made it a dozen times since then. Just made up a 8x batch of the marinade and portions a bunch of freezer bags to cook up later. Amazing recipe, thanks. Krisina, it is served many different ways in different countries throughout the Middle East and Mediterranean. It can be served in flatbread, nan bread, pita bread, or on its own with rice. I’m sure there are other variations as well. Awesome recipe! Thank you! My favorite local Kosher restaurant went out of business and I was crushed that would not ever have their Shawarma again. This recipe was so easy and fool-proof; even I, who has unpredictable results in the kitchen, could make it. Thank you again! Thanks for this recipe…I made it for dinner tonight, and it was just delicious! I’m going to have to check out more of your recipes! Hi Rabbi Dan, in our family (and in many other American Ashkenazi families) cumin, coriander and quinoa are not considered kitniyot. 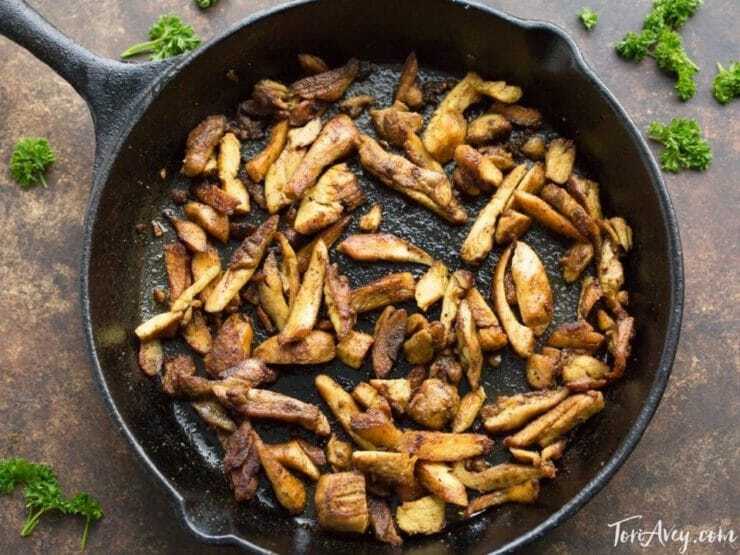 You’ll see on my Passover recipe pages that I lead with a disclaimer about spices: https://toriavey.com/toris-kitchen/recipes/passover/kosher-for-ashkenazi/ It is assumed that if a reader is so strict that they consider spices like cumin to be kitniyot, then they will already have a firm grasp of their own Passover dietary restrictions and will not choose to make a dish like this for Passover. I just returned from the trip of a lifetime to Israel about a month ago. My friend cooked this recipe last night for our Schawarma and Falafel potluck and slide show presentation. It was the tastiest food I have had since returning to the States. You have a gift making authentic tasting Israeli food. Made this tonight along with the Baba Ganoush. Soooo, good and so easy! I couldn’t get the chicken crispy though. Any tips? perhaps I have to cut the chicken into thinner slices? Thanks for posting. Hi Jennifer, next time try cutting the slices thinner and frying them in smaller batches. This should help make them crisper. I want to make this for shabbat lunch. Do you think it will be too dry if I make it in advance? Hi Shoshanna, I prefer it freshly made. You can make most of it ahead and save only the final frying step for later– but if you’re talking about Shabbat, you may not want to do any cooking that day. Using all dark meat will help to keep it from drying out too much. If you’re planning on keeping it in a crock pot to keep it warm, I’m not sure this is the best dish to serve… I would worry about it drying out. If you try it please let us know how it worked for you! Thank you for the recipe. I made it for a family dinner but I used rotisserie chicken as a base. I removed all skin and bones and separated the meat into little pieces with my hands and marinated them in your spice and oil mixture for couple of hours. 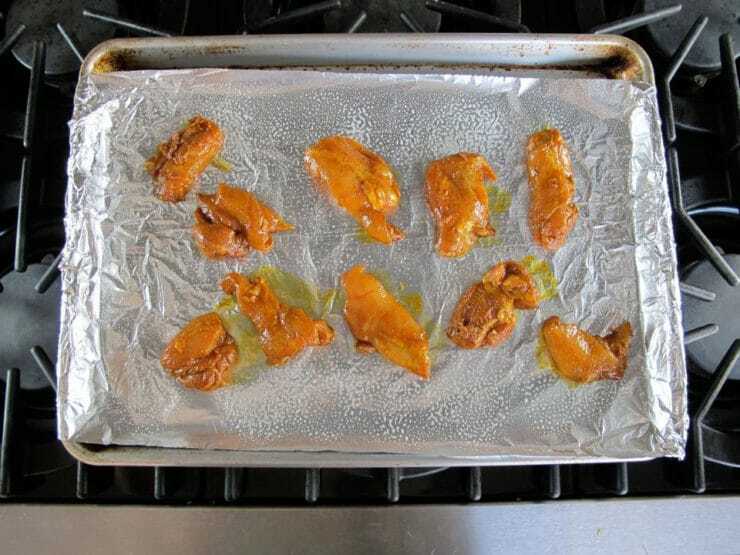 30 min before the dinner I put marinated chicken pieces in the oven on a large baking tray, so I could spread it thin and baked it till crisp, turning once. Everybody loved it. Thank you for your inspiring recipe! P.S. I was short of garlic powder, so I used generous amount of fresh chopped garlic and it worked well too. The rotisserie chicken is an interesting idea Nela! I was a bit skeptical even when it finished marinating, mainly because the spices were such a simple blend. It didn’t smell like much when it was baking but it tastes just like shawarma once it’s out of the pan. I think I need to cut it thinner and fry it longer to get the texture a bit closer to the real thing. beats spending $1000 buying a proper spit and grill though! just tried frying it with beef tallow for the first time, tastes a lot like the real thing IMHO. i’ve tried it with ghee, olive oil, peanut oil, canola oil, lard (no preservatives) and even coconut oil. beef tallow tastes the best for me. OK, so I fell in love with Shawarma while living in London many years ago but never new how to make at home… until I found your recipe. I used free range chicken breast and free range (boneless) thighs. I marinated for only 1 hour (is it any better with overnight marinating? ), and cooked in the oven for 15 minutes per your instructions (next time I’ll try the grill) and finished in the pan. It was AMAZING! Wondering if there are any variations that you’ve found or have been suggested on this board that are worth a try too? For lunch I just made took some leftovers and put in a whole wheat PITA, loaded with some Israeli Salada, Tahina and some hot sauce… and, finished it in the Panini maker. So good! Thanks! So glad you liked it Steve. Read through the comments for suggestions from others. I generally make it as written here, and I try to marinate it overnight if I can… it does seem to deepen the flavor a bit, but not much. My wife and I have long loved the food- especially the chicken schwarma at Montfort in Burlington, ON. Recently finding myself alone at home around dinner time, I thought I would Google a recipe to make a schwarma and found yours.I don’t cook very much- I just bbq. We are a Swedish,Irish,English and Jamaican mix! Your intro convinced me to try it. I went to the freezer to take chicken out and to my dismay we had only chicken breasts. (I always buy boneless thighs!!). I was so “depressed” but I persevered. I started putting the ingredients together sometimes forgetting how much I put in and then would guess and I think I was missing one spice (forget now)also I was putting the ingredients in an empty spice jar-dont ask. When I dumped it all in a bowl, I realized that I just dumped half a bottle of cayenne instead of the recipe! Washed off chicken and started again. Well let me tell you, it was awesome. My wife and kids thought it was fabulous! My 13 year old,who hates 90% of all meat dishes raved about it! And it truly tasted just like Montfort’s! Now need you to come up with the recipe for their special side-sauces they offer with the sandwich. Next time I will use thighs. Thanks Tori. God love ya! Great to hear that Jeff! This looks great! But…I’m allergic to cumin…any suggestions?? I studied abroad in Granada, Spain and regularly ate at a place called Kabab King. I’ve not found anything like it in Minnesota…until this recipe. This is out of this world and brings me right back to Granada. The second pan-fry cook is key for flavor and crispness since I do not have a large, rotating spindle of chicken. THANK YOU, THANK YOU, THANK YOU!!!! This recipe rocked. I made a great garlic sauce and a fouttoush salad….great stuff!!! 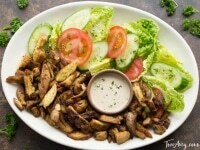 We love shawarma but I’ve been hesitant to try to make it at home. Your recipe looks great so I’m going to give it a shot tonight. Thanks! This recipe is really something. I tried it and made my friends taste it, they said it tasted better than what you could buy at a restaurant. Keep it up! 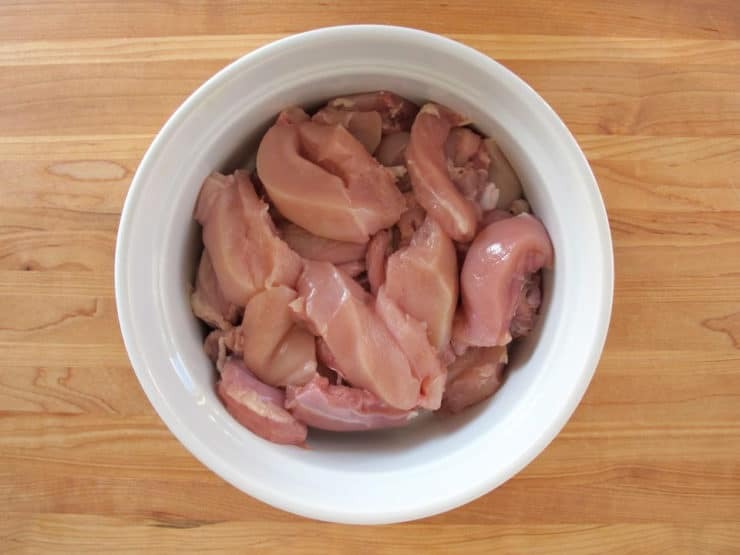 I finally get boneless skinless chicken thighs now and how to scratch the tarna(chicken shawerma) itch now that I am miles from Zankou Chicken. Terrific spice blend, though I cheaped out and skipped the turmeric and all spice as I simply did not have it on hand, wasn’t walking distance to a Middle Eastern Market, and didn’t want to add a new Lexus or yacht to the Morton and Basset spice empire. Hummus, even tahini was wholly unnecessary. Deliciously spiced chicken Shiksa! Makes me rethink my Thanksgiving leftovers strategy. Very happy you liked it Ali! Thank you so much for a fantastic recipe, it took me back to my favourite shawarma place in Jerusalem. Everyone loved it, fantastic!!!! Fantastic recipe. 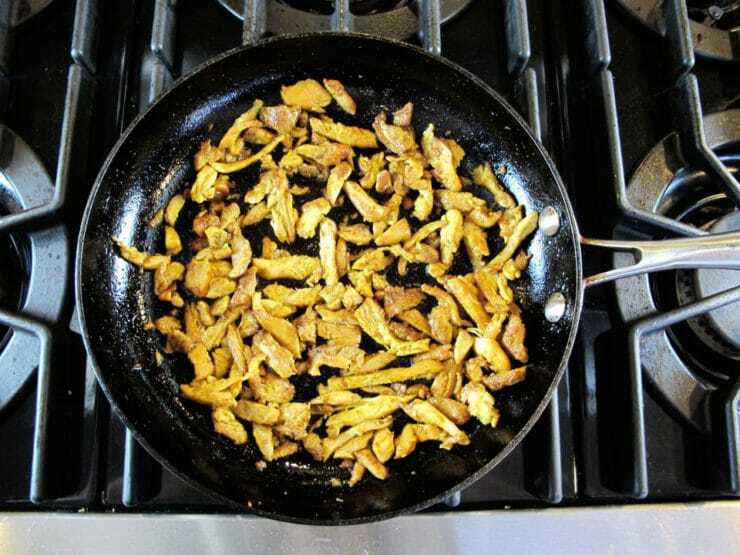 My hubby made this schwarma recipe last night and we had it with Toum sauce on Naan bread. The flavours were amazing. This will definitely be a keeper! Hi there! I know you posted this last year, but I must have missed it. Thank you so much for this recipe!I made it today, and my husband and I (and not to mention my puppy) loved it! I moved from the Detroit area (known for delicious middle Eastern food) to Indiana not too long ago. 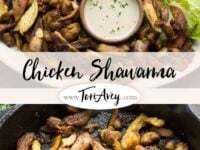 I have been looking for the right chicken shawarma recipe that tastes like home and I finally found it here! I think it actually taste better than the chicken at restaurants. So much flavor, and the right shawarma flare. Thanks so much! Thank u. Thank u .this what i’ve been looking for.just need to find out how to make the rice. Is the paprika SMOKED paprika or just the standard paprika? Mary S, it is standard paprika. Wow- thanks, Tori. I am going shopping for the spices I don’t have and am excited to try the recipe. I am new to your blog/site and appreciate how quickly you got back to me! This is a pretty good recipe. However, if you’re going to do it in the oven I suggest broiling on the center rack it to get that nice char, and skip the time in the skillet at the end. I just made this and it’s so good! I cut my pieces smaller and was able to skip the skillet step. I also used only chicken breast and it wasn’t dry at all. We have a favorite restaurant that serves this over hummus or in a wrap. Thank you, I put the marinated chicken breast and thighs in the Fridge. It looks, smells and tastes really good. I made a couple of very small changes, light on the cayenne and added a dash of crushed mint. Will post results. Do you have an approximate weight for the chicken used? The required weights are listed in the recipe above Ben. wow can’t totally flew over my head. Thanks! I don’t know how I missed this, but I just read the e-mail and am really excited to try this. I had the REAL thing in Israel, and I mean I ate schwarma just about every day I was there! This recipe is fantastic. I am completely hooked! Thanks so much for posting.